The interpretation of our main pieces done for Ruler of Kings Medieval Text RPG. On the Ruler of Kings II Text Role-playing Game main site is our new art that we commissioned to have done based on what happens in the game. It is not random art, there is an interpretation of it below… what do you all think? B. Gothic King showing crown and kingly status that each Player hopes to attain. D. Your many Armies following your lead. E. War Horse that takes you where you want to go and aides in your battles. Nice one. I like that it includes all our aspirations. What about wallpaper versions for desktop or phone? Might serve as a good reminder although I do not really need reminding. ;). Its good inspiration to show me where I should have my character in the future as a ruler of kings. Awesome art puts a nice touch on the ROK home page. I do not have the familiar or horse yet but having that there makes me visualize how it could be as ruler ;). I like that you chose to get your artist to paint something that is actually related to the story of the game and not just any scene. That is what I like about ROK II - so much thought has gone into it. Thank you for the feedback. We wanted something that is also mentioned in the game and we felt the artist did a good job despite our tight budget. We've added the female version of our Official Art. In fact, there are two versions that we refer to as the "Blonde" and the "Brunette" just because the big difference is mainly the hair color among other things. Really, it is more than that, the blonde is already a queen and graced with bronze armor and a crown identifying her glory. She has a red dragon perched on her shoulder unlike the green one for the king. The brunette has a more menacing demeanor with darker personage and unforgiving look. 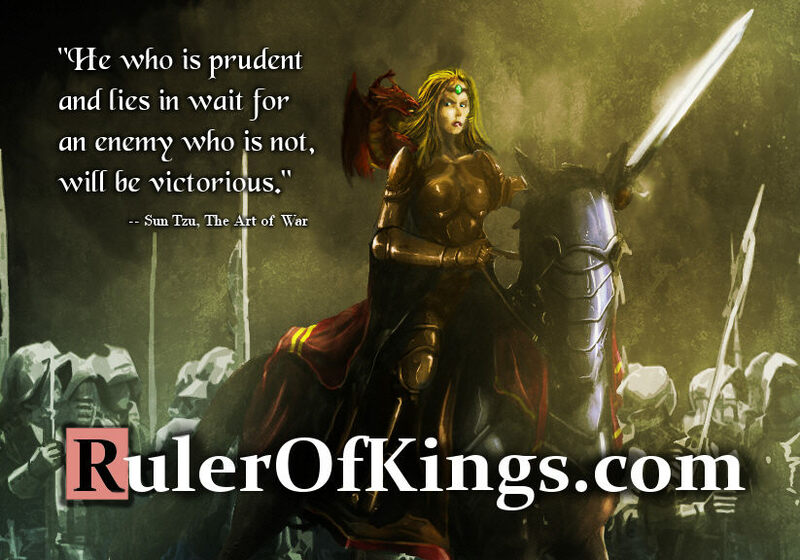 She is yet to be a queen but nevertheless leading her armies forward. 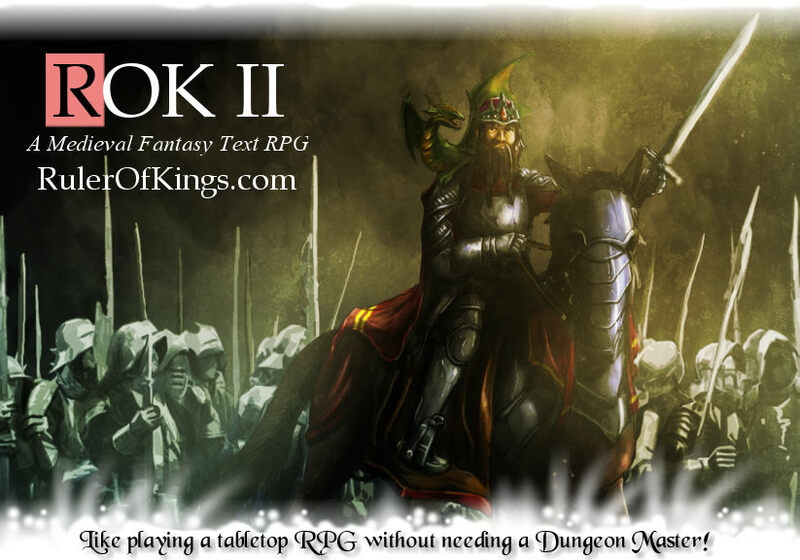 The blonde can be seen in the general Discussion Thread for ROK II and the other as a banner image for the entire Text Role-playing Game Board. I like that you've included a couple of females as part of your official art and they're fully clothed too - not skimpy as we're usually portrayed.